Million Dollar Password: 2009 Edition is an adaptation of the TV game show of the same name. The objective remains the same, to guess a series of words within a time limit to win money, based on clues provided by a celebrity. The game's celebrities are cartoon parodies of real life actors, musicians and other personalities. The words can be input with the keyboard or by clicking on the alphabet at the bottom of the screen with the mouse. 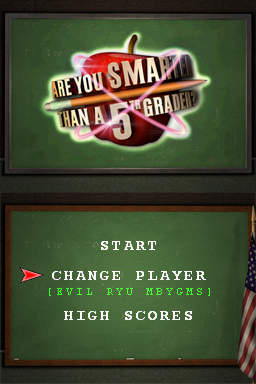 The game starts with a elimination stage, where the player competes against a human or CPU-controlled contestant in four rounds, switching celebrities halfway through. The celebrity clues are listed at the top-right, and the player has to make a guess after receiving each one. The hidden words, or passwords as the game calls them, can be skipped to be solved later, if there's enough time left. The objective is to guess five words, with a unlimited amount of clues allowed. The contestant with the highest score moves to the next stage. 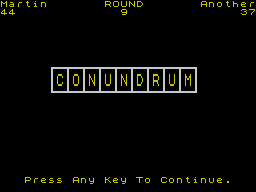 In the million dollar stage, the player has to guess five words on each of the six rounds, and words can only have three clues. Players can't try again the skipped words. The passwords get more complex with each round, but players have the option of walking away at the start with all the accumulated prize money. If they lose, the money is lost as well.